When I first started my witchy journey, becoming psychic was one of the things I was most excited about. I really wanted to see, hear and feel things beyond the physical realm. As any good Gemini would do, I studied like crazy. I read every book I could find and took notes and practiced. I would wake up at 3 in the morning because this is considered the witching hour, when the veil is thinnest in the 24-hour period and therefore psychic senses are strongest. After a while, I realized I was trying too hard. I was forcing it and the more I tried, the less successful I became. It was like my psychic abilities were shy and the more I focused on them, the more they shrank into the shadows. This is because when you try to force your intuition, you are basically acting as if they are something outside of you. Like, if you keep searching for it, it will be bestowed upon you. Like, it’s a gift from some external force. But this isn’t what being intuitive or psychic means. These abilities are inside of you already. Also, when we push ourselves so hard and see no results, certain emotions can surface, like shame, disappointment, and frustration. These emotions are like a road closed sign. It’s not something you can just decide to be. Psychic abilities come naturally through trusting yourself and falling into the flow of the universe. That’s really the best way to describe intuition, flow. It’s releasing the need to control and trusting the flow. Becoming more aware of my intuition and working to strengthen my psychic abilities has helped me learn a lot more about myself and the world around me. It has made me sensitive to vibrations, and more acutely aware of my physical senses. Some people are more naturally able to pick up these psychic vibrations, much like some people are born naturally good at sports or music. But, I believe everyone can be a psychic. No matter what you’ve heard, we are all born with this psychic ability. We all have the power to tap into these psychic abilities, it doesn’t matter who you are. It may not be exactly how they portray psychics in Hollywood and in media, though. If you are one of those people who are not naturally able to pick up on psychic messages, do not be discouraged. If you want to be psychic, and you want to develop it, you absolutely can. Being intuitive is like when you know who’s going to call before you answer the phone. Or when you get the feeling that something will turn out badly. Or when you suddenly get a burst of inspiration for a solution to a problem you’ve been working on. Your intuition is always talking to you, usually through your gut instincts. Being psychic is when you take your intuition and you refine it. Psychic abilities are developed when you begin paying closer attention to your intuition. Not only paying attention, but trusting and consciously acting on your intuitive. There are several types of psychic. These abilities are tuned to your physical senses. Your sense of sight, sound, smell, taste and touch work on both the conscious level and the subconscious level. When you tune into certain psychic abilities they are attached to the physical sense as well. Clairaudience is the ability to hear psychic messages. Clairsentience or Clairempathy are other words for being an empath. Clairvoyance is the ability to see psychic messages clearly. Clairscent is the psychic ability associated with your sense of smell. Clairgustance is the psychic ability of taste without ingesting something. Clairtangency is the ability to touch something tangible and discovering its story. There are many other forms of psychic abilities. You can experience any or all of these. Do you want to activate your psychic abilities. Get a downloadable, printable copy of these mantras designed to help you activate your clairvoyant, clairsentient, and/or clairaudient abilities sent directly to your inbox. You can use these affirmations and mantras before your readings with or without the visualizations to help open your ‘clair’s for your psychic readings. 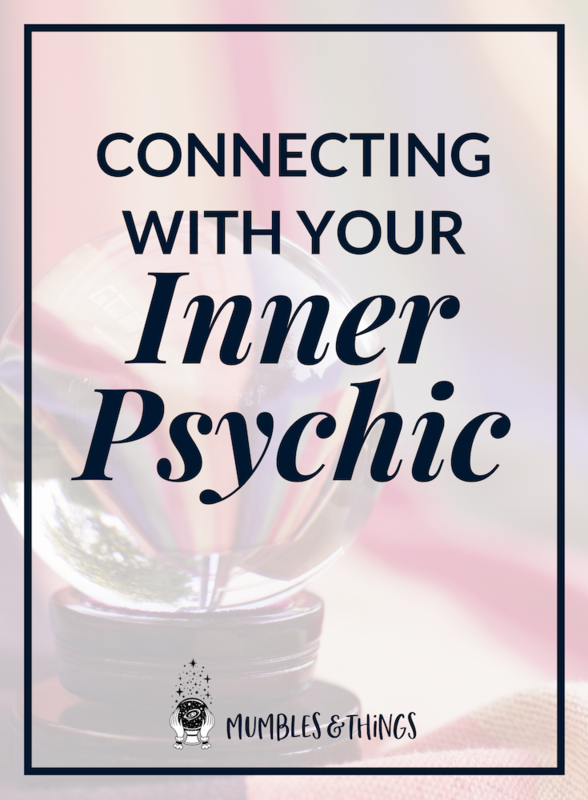 How in touch are you with your psychic abilities? Tell me about your experiences in the comments below.